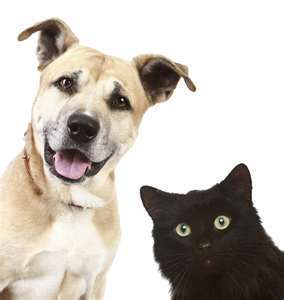 At Seaforth Animal Hospital, we know you want keep your pet happy and healthy. We also know that sometimes it's hard for owners to know what to do, when to do it, and how to pay for it. We have developed a wellness program specifically designed to provide you with peace of mind knowing that all your pets routine preventative health care needs are taken care of. We even make it easy by reminding you to schedule your vaccines, screening lab work, dental and health exams. We will help you choose which plan best suits your pets age and health requirements. Each plan is for one year with automatic monthly payments on your credit card. We will send you a reminder when your plan is due to expire so that you can authorize your plan to continue. If for some reason you choose to cancel your plan, you pay for whatever goods and services you have used and we refund any balance remaining. Please note that Health Plans cover regular preventative health care only. Any additional exams and diagnostic procedures not listed in the plan are not covered. Emergencies, after hours calls, house calls, products, medications, and surgery are also not covered. You must make alternate financial arrangements to care for your pet should he/she become sick or injured. You can arrange additional financing with the Pet Card from iFinance, purchase pet insurance, or develop a pet savings account to take care of your pet if he/she becomes sick or injured. If you have any further questions regarding Health Plans, don't hesitate to give us a call, one of our staff will be happy to help you!